Introduction: One of the coolest things that Daiwa has done on their rods of recent is the introduction of their AGS guides which are carbon framed guides for lower weight, higher rigidity, and greater sensitivity than traditional metal framed guides. 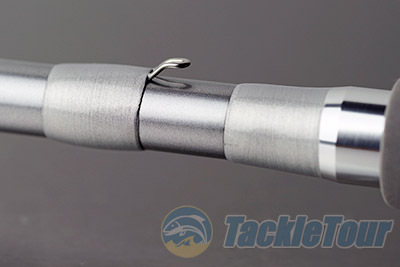 The first rods to make use of these guides were the Steez AGS, and while fishing these rods are an absolute delight on the senses they are also are quite exclusive with a whopping price tag of $579-$599 dollars each. Truly an enthusiast positioned rod! 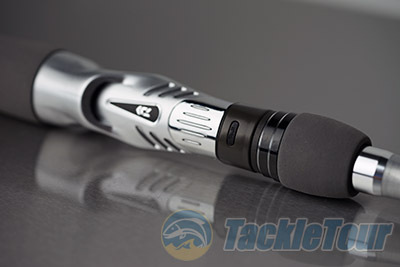 In an attempt to make the AGS technology available to a greater range of anglers Daiwa is now introducing the air guides in their new high performance lineup of Tatula Elite rods. How Elite? So just what makes these new Tatula rods so elite? 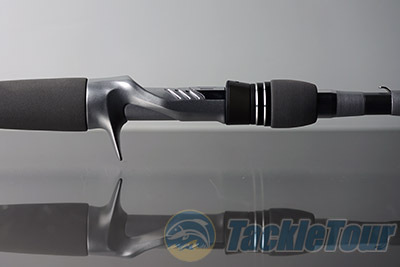 To create the new rods Daiwa blended two things together, advanced technology and good old fashioned fishing catching know-how with not just input from Pro Anglers, but by giving them cart blanche control over the selection of rod blanks, actions, real seats, and even the use of AGS guides. These Pros included Randy Howell, Brent Ehrler, Ish Monroe, Takahiro Omori, Andy Montgomery, Seth Feider and Cody Meyers, who were all empowered to create their own signature rods in the new lineup. 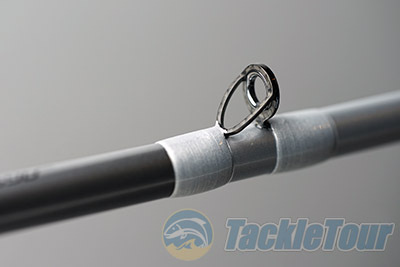 No guessing about which Tatula Elite rod to use for a particular application, these rods literally have each of the Pro�s �signature� techniques covered. The Elite rods channel the silver styling of the original Team Daiwa rods but the tech has been turned up by a factor of ten on these new rods as they leverage SVF� Nanoplus Super Volume Fiber blanks for increased sensitivity and less weight on all but the crankbait specific rods which are designed with a GLATECH� fiberglass and graphite blended construction to create a slower reacting blank to keep those fish pinned on treble hooks, but still provide good sensitivity due to the graphite wrapped blank construction. All of the new blanks also feature Daiwa�s X45� BIAS graphite fiber construction which is designed to prevent twisting and ovalization of the blanks for increased casting accuracy and improved distance. To top it all off Daiwa allowed each of the Pro Anglers the choice to utilize either the company�s exclusive carbon based Air Guide System (AGS) for more sensitivity or traditional Fuji� Alconite guides. They were also able to dial in their preferred ergonomics with the choice of either Daiwa�s custom reel seat or Fuji reels seats. To stand up to the rigors of tournament fishing durable and comfortable high density EVA foam grips are used throughout the lineup. Daiwa, and their lineup of pros, wanted to create a new line of rods that not only would perform well and be fun to fish but also affordable for mainstream anglers. The standard Tatula Elite Casting Rods and the Elite Glass Crankbait rods all retail for only $179 dollars, while the new Elite AGS rods retail for a hundred dollars more at $279-$299 dollars, depending on the model. The increase in price is based on the more expensive AGS components. These carbon frame guides are 20%-40% lighter than conventional guides, and because carbon has roughly 3X the rigidity of titanium they also offer greatly increased sensitivity. My first impression when trying out the standard Tatula Elite Rods is that they are light, sensitive, and overall quite well balanced. No complaints here, these look and handle like very nice rods so if your dead set on spending less than 200 dollars the Tatula Casting rods will fit the bill nicely. Just don�t make the �mistake� of handling or fishing one of the AGS equipped rods first, because the differences are more than subtle. 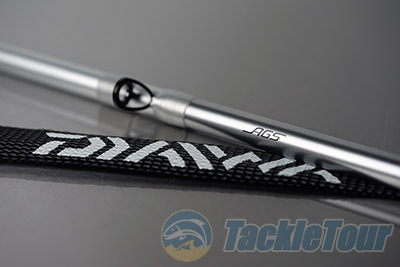 The AGS rods are better balanced, feel more refined, and are noticeably more sensitive. The result, you will end up wanting one, I know I did. Next Section: AGS on a Frog Rod?